If you haven't been over to the Mustard Ceiling, you are missing out. 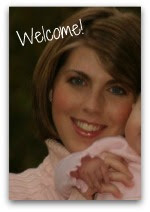 Elizabeth, not only blogs about great interior design, but she also runs her own web design business, TMC Design. Today is the last day of her summer sale and a chance to get 20% off her design packages. She just released these fun ikat pre-designed templates. I think they are pretty darling! I'm off to to enjoy my last few days of kids-in-school freedom. What are you up to today?